Lake Saif ul Muluk is one of the dream tourist resorts of Pakistan. Located in the Khyber Pakhtunkwa province at the northern end of picturesque Kaghan Valley at a height of 10.578 feet in the foothills of famous Malka Parbat (the Queen Mountain), the spectacular lake with its deep blue waters is a sight one comes across once in one’s lifetime. The reflection of Malka Parbat into its still blue waters add awe to the spectacular landscape. Recently I came across a video on Saif ul Muluk that triggered memories of more than two decades when I visited the lake for the first time – and perhaps the only time of my life. While the video took me back into my memory lane, I was amazed find that the dirt track leading to the lake from the Naran town is still the same and to approach the lake one has to hire sturdy and robust Jeeps to reach the lake. One wonders why after so many years the dirt track has not been paved. But then one wonders if the dirt track is metaled, what the locals would do as it would rob them of the only livelihood available to them for carrying tourists up and down. So while visitors and tourist, both local and foreign, throng the Naran town in summers, the hotel and Jeep business flourishes – perhaps the only means to earn bread and butter of Naran town. 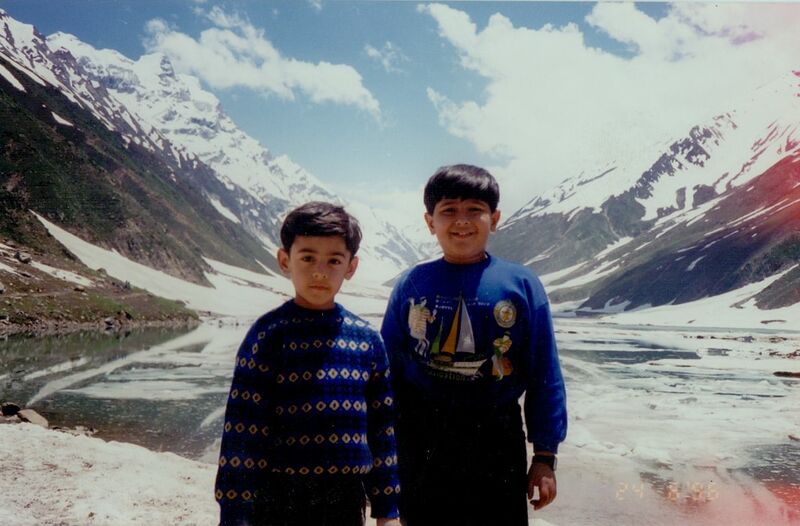 I visited Naran and the lake back in 1996 with a group of friends and family. Although it was July, the lake was still half frozen which is fed by the Kunhar River. The lake with a surface area of 2.75 square kilometers and with a maximum depth of 15 meters or 50 feet is famous for its brown trout with an average weight of seven kilograms.